A small indoor affordable wireless HDTV network camera with a fixed lens and adjustable focus. The AXIS M10 Series of cameras such as the M1004-W and M1034-W offer small, smart IP cameras, ideal for securing your home or small businesses, boutiques, restaurants and hotels. 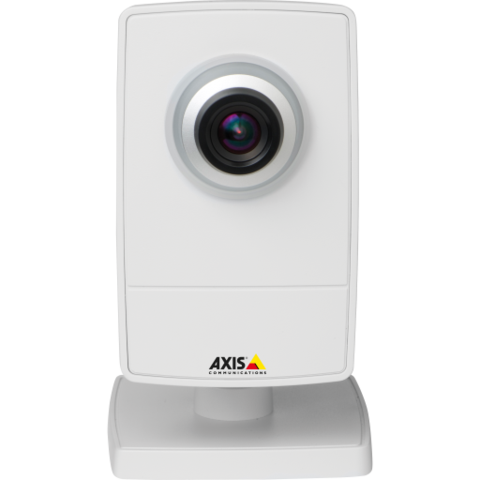 AXIS M10 Network Cameras are very functional and their smart design offers a high quality and affordable video surveillance solution. Progressive scan technology, the cameras provide SVGA, HDTV 720p or 1080p video.